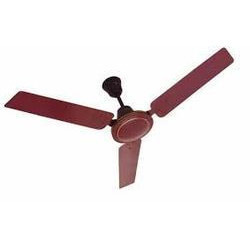 Acknowledged as an illustrious company, we are immersed in offering an extensive assortment of Ceiling Fans to meet the demands of our patrons. The complete assortment of our fans is developed and designed using finest-grade material acquired from certified vendors of the industry. Offered in diverse colors and designs, these fans are shake resistant. These fans are hassle-free to install and wants low maintenance. We, Jaiswal Electronics, are most trusted organization in the market established in the year 1963, at Delhi, (India). we are manufacturer all products under the Brand Name "JAISCO" We are most paramount and trusted Manufacturer of ISI marked Products under M/S DEVI ELECTRICAL APPLIANCE like Electronic Irons, Roti Maker, Table Fans, Sandwich Toaster, Water Heater, Geyser Element, Kettle Element, Ceiling Fans, Exhaust Fans, Cooler Motor and Pedestal Fans. Under These electric items are designed and contrived with the use of finest quality machines and skills. Our professionals and engineers are qualified and hard working in this domain. We work very hard in order to understand the current market developments and requirements of our customers, these products are manufactured with the use of best quality machines and skills. Entire range of these products is manufacture to keep it as per set quality norms to keep it as per set quality standards. Smooth finish, sturdy designs, compact structure and cost effective rates are few of the reasons that makes this array high loved by our customers and makes it a top most brand in the market.